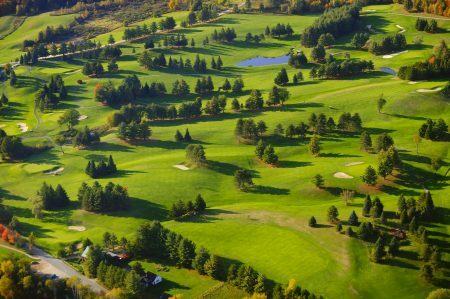 A great golf course is a challenge for the designer, who can choose to rely on the existing natural elements, or use a generous budget allocated for excavation work. A standard golf course has 18 holes, but this number may vary. In some cases, it is better to build nine holes, with the opportunity to expand by nine more holes, when the golf course will start generating steady profits. The lawn on golf courses in an important part of the game and must grow in a sandy clay soil, which provides perfect drainage. Nobody wants puddles on a golf course, any time it rains or after. The lawn has to look impeccable and resist to heavy traffic. As about vegetation, some of it may affect the requirements of the golf course and must be modified. Designers of golf courses typically keep forests untouched and do the landscaping according to them. For every golf course, there should be a superintendent, knowledgeable in chemistry, biology and plant pathology, who is qualifies to monitor the environment, the weather patterns, as well as they way they affect the playing areas. If you love to golf and are searching for a blend of luxury living on a golf course, using your favorite browser search ‘golf course gated communities near me‘ to find some of the best!